Every year Google introduces new software features that are exclusive to its Pixel devices. Some remain exclusive forever, while others are making their way to other smartphones after a while. The option to trigger Google Assistant even when your smartphone is locked is only available for Pixel users, but that's about to change Google announced recently. In the next few weeks, all Android devices will benefit from this specific feature that was available to a limited number of users. In order to enable the so-called “Pixel lockscreen Assistant” feature, you'll have to opt-in through the phone's settings. 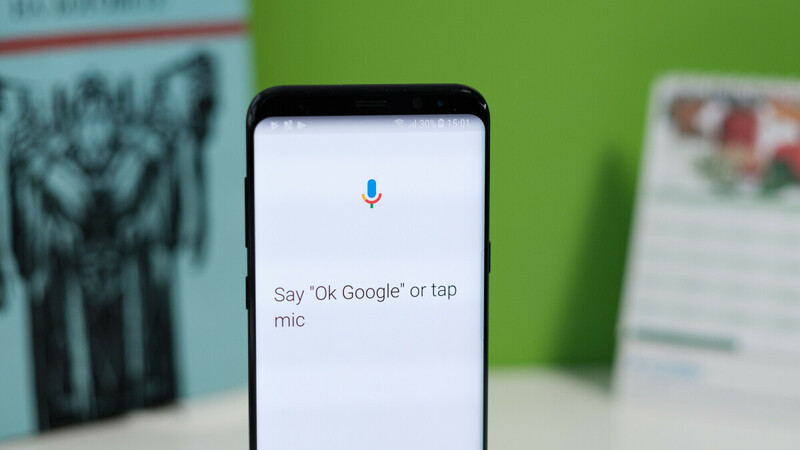 Once the feature is enabled, Google Assistant will respond to you even when your Android phone is locked. For example, you can ask Google Assistant to show restaurants nearby, set up and dismiss alarms, or even schedule reminders and timers without having to unlock your phone. Moreover, Google Assistant will be able to provide answers to personal queries, including traffic updates to work or calendar updates. The new feature will be rolled out worldwide in stages, but it should be available to everyone with an Android phone by the end of the month. If you have smart lock enabled such as to a smart watch, Google assistant has worked when locked for sometime on most if not all android devices. Funny, Cortana on my Windows phones has been able to do this since Windows Phone 8.1 wayyyyy back in 2014. Welcome to the party, Google. LeoTesla cortana is inside millions of windows 10 PCs and many android devices. Aww, that's cute. Let's see, Cortana is on (in my household): 5 Windows Computers/Laptops, 2 Surface Tablets, Xbox One, 5 different Android Phones, 2 Harmon Kardon Invoke Speakers, 1 Johnson Control GLAS thermostat, 3 Amazon speakers & 2 Amazon Fire Tablets (for the Amazon devices: via app on the tablets, via the Alexa/Cortana integration on the speakers), and finally 8 different Windows Phone 8.1/Windows 10 Mobile devices. Where is your Siri or Google Assistant? Not compatible with nearly as many devices. Only Alexa comes close to being installable on as many devices. Windows phone was awesome. I loved my lumia 920 back in the day. It was way ahead of android for usability features like this. Unfortunately, the app gap was real. Windows Phone was unbelievably buggy back in the day, using it as a daily driver was a nightmare. It also was way behind on usability features. The only thing it had going for it was a lightweight UI. Wifi connectivity was shoddy, for adopting it if you came from an iPhone or Android phone and you wanted to transfer your files properly, you needed a computer to do it, because Windows 8.1 didn't let you have much of any file explorer abilities to put files in the right folders so Windows Phone could find them. There were SIM card issues were sometimes Windows Phone for no apparent reason could no longer connect to your network and you were forced to restart the phone to fix it until it happened again. Apps had to reload every time you switched between them. Internet Explorer and later Edge were terrible browsers for a phone and lacked a lot of basic support. Need I go on? Same, still use a combo of 950 XL and HP Elite X3 as daily drivers. Have also had Lumia Icon, Lumia 928, Alcatel Idol 4s, and Lumia 950 (a couple I had more than one due to butterfingers). And those are just the ones lying around right now in my home. I won't count my old 1020 and 1520 as technically the 1020 barely functions, and the 1520 is currently a testbed for Windows Phone Internals, and I have Windows 10 on ARM installed, so I count it as a Cortana device, but don't know if it is a phone or tablet at the moment. Except Windows Phone 8.1 didn't have Cortana... That came with Windows 10 Mobile. Check your facts. Cortana rolled out 1st to Windows Phone 8.1 before Windows 10 was even a thing. My Lumia 928, Icon, and 1520 all received her in the update back in 2014. Then of course W10M was later provided to my Icon and 1520 with the enhanced version.